Mad Otter Games revealed the next expansion for its fully cross-platform MMOPRG Villagers & Heroes today. Titled Wellspring, the update is less than a month away — slated to hit servers on May 14. 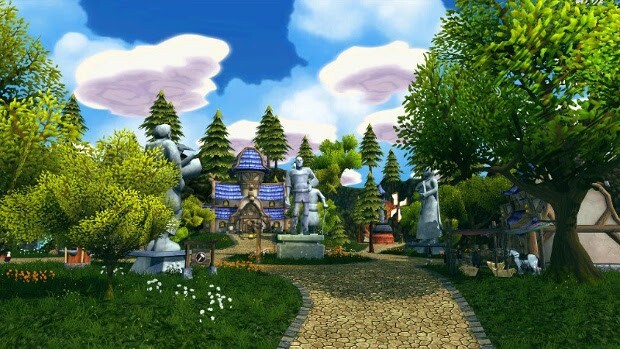 The new expansion will focus on community building with things like housing and villages. It will offer more community-based content, expanding with projects, politics, and even customizable environments. Players can even run for mayor and help run the village government. To improve the villages, players will need to complete projects like building a mill or training grounds — and they’ll need to work together to do it. Villages with completed projects will provide players with a variety of rewards. More information on the new update can be found on the official game site.